It's been a while since I've made a purchase from The Body Shop, but after my local store's recent renovation, me and my mum decided to pop in and have a look around. I ended up walking out with just a little face brush available HERE (.. which I highly recommend!) but it was an offer I received by email a few days after which lead to all of this! I'm not sure if it's still on or not, but it was 50% off everything when you buy 8 products. I ended up buying around £50 worth of stuff for only £25 with free delivery! Not bad at all. I've been meaning to get a 'normal' face wash for the longest time, just one which I can quickly use in the shower, and wipe off with a flannel. For too long I've been using ones designed for oily/combination skin, and I think they've been worsening my problem. 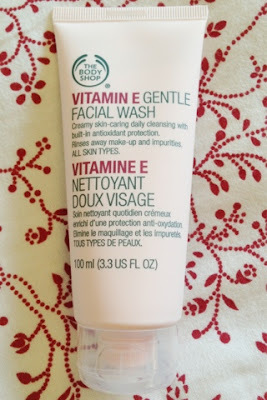 Since using this, my skin has noticeably balanced out A LOT. 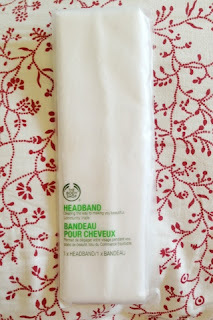 It's a wonderful consistency, and the tube is a great size - not too big or chunky for a wash bag! I added these two to my basket... 1, because of all of the wonderful reviews, and 2, because moisturisers, day creams and night creams are definitely my weakest point in my skincare regime. Having oily skin lead me to believe that moisturising my skin wasn't as important as it is for those with dryer skin types, but I now realise I'm wrong. 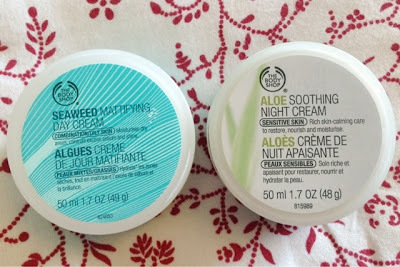 Using a night cream works wonders on my skin, and I'm hoping the Soothing Aloe one will help calm my skin down while I sleep! I chose the Mattifying day cream to prevent any possible excess shine during the day, and also, it smells great! These pots are a great size, and I actually prefer them to 'tube' style containers, as I like to see how much I'm using. I actually smelt this in store, and instantly fell in love! 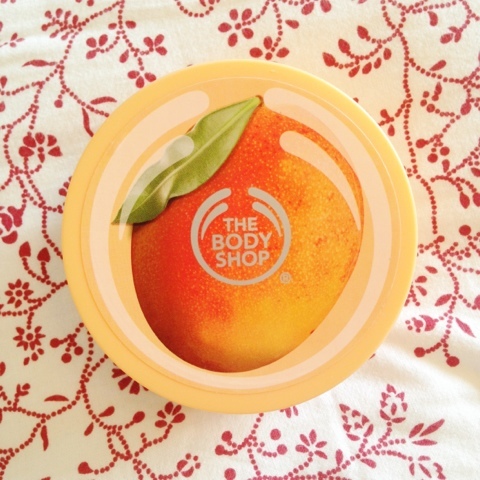 I adore mango fragrances, so this was an obvious choice. It retails at £13.00, but with my offer, I managed to get it for only £6.50! I've had so many of these body butters in the past, and I remember spending all of my pocket money on them when I was a little bit younger. They smell absolutely delicious, and are super moisturising! I usually only use them at night time, or when I'm going out with bare legs, as I find them quite thick to use before wearing jeans etc. I've been meaning to get myself something like this for ages. I usually just clip my hair back with a bobby pin when I wash my face or apply makeup, but this helps to hold my hair back even more. It's a lovely soft and stretchy material, and easy to throw in the wash every so often. Seeing as I only paid £2 for this, I'm very pleased! No more hunting for bobby pins every day! Last but not least, these 3! Admittedly, the last thing I needed was yet another lip product.. but the smell of this Pink Grapefruit lip butter was too good to miss! I smelt this in store, and it was one of the first items to go in my bag online. It smells so fresh and fruity, and isn't sticky on your lips at all. The other two are 6ml treatment sachets. I've never seen these in store before, and came across them online whilst looking for two more products to make my total up to 8. These are only £1.50, so I got them for a mere 75p! I haven't had the opportunity to try them yet, but they do look promising. 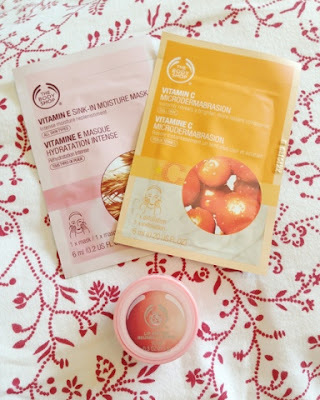 I'm planning to save the Vitamin E moisture mask for winter, when my skin tends to be a little drier, but I think I'm going to try the microdermabrasion one out pretty soon! It states that it's for 'dull' skin, and I'm never going to say no to anything that promises to brighten my complexion! It's also available in a 75ml tube for £13.00, and it's one of their bestsellers. I have high hopes for this one! 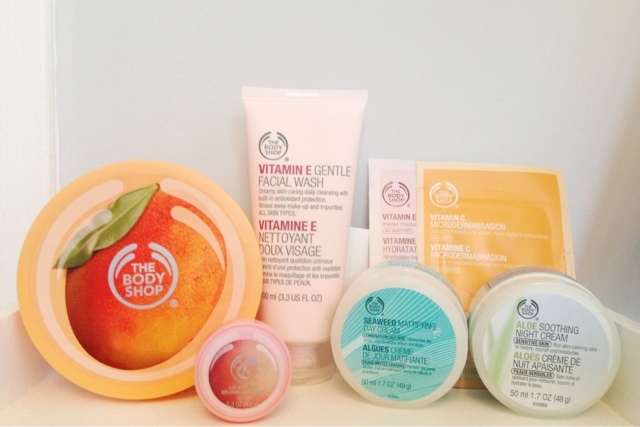 The Body Shop's £10 off when you spend £25 is still going strong online with the code 19804, as well as many other offers advertised on their homepage. For more regular updates on their promotions, I'd recommend signing up to their newsletter! Thank you ever such a lot for reading, and I apologise for such the long post! I'd love to hear your comments down below! Yes give it a try!! :) It says it's suitable for all skin types, and I don't find it drying in the slightest. I may even use it instead of my Cleanse & Polish! I replied to your lovely long comment over on my blog if you wanted to go and check that out! I love body shop! My recent love is the pink grapefruit shower gel, literally such a nice fresh smell that makes you feel so clean and lovely! Now I'm going to have to buy the lip butter! Hello! Ah yes I saw that, thank you!! And ooh, I had no idea where was a shower gel version.. I'll definitely have to give that a try! Oooh I know, I still can't believe it!